When VA makes a determination that a compensation award is to be paid based on a claim, an effective date is also assigned. The effective date determines when benefits are payable. Effective dates can vary based on the type of benefit and the circumstances of the claim. Listed below are the most common types of claims and generally how effective dates are assigned for each type. 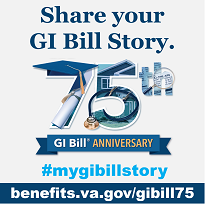 Generally, an effective date for service-connection for a disability that is directly linked to an injury or disease that was incurred or aggravated by military service is the date VA receives a claim or the date entitlement arose, whichever is later. The date entitlement arose means the date the condition was shown to exist by medical evidence. There is an exception in cases where the claim is filed within one year of separation from active military service. For these claims, the effective date will be the day following separation. Generally, an effective date for service-connection for a disability that is presumed to be related to military service is the date entitlement arose if the claim is received by VA within one year of release from active duty. If the claim is received by VA after one year of release from active duty, the effective date is the date of receipt of the claim or the date entitlement arose, whichever is later. Normally, the effective date for a reopened claim is the date of receipt of claim or date entitlement arose, whichever is later. If a claim is reviewed on the initiative of VA within 1 year from the effective date of the law or VA regulation, or the request of a claimant is received within 1 year from the date of the new law or regulation, the effective date may be the date of the change in law or regulation. If more than one year has elapsed since the change in law or regulation, an effective date of one year prior to either VA's own review or one year prior to the claimant's request for review may be assigned as the effective date. If the death occurred after service and the claim is received within one year of the Veteran's death, the effective date will be the first day of the month in which the Veterans died. If the death occurred after service and the claim is received after one year of the Veteran's death, the effective date is the date of receipt of claim. If VA finds an error in a previous decision, the effective date of the new decision will be the date from which benefits would have been payable had there not been an error. A decision that is based on a difference of opinion will have an effective date of the original decision had it been favorable. The earliest date as of which it is factually ascertainable that an increase in disability had occurred if claim is received within 1 year from such date, otherwise, the date the claim was received. Disability - Date the injury or aggravation was suffered if claim is received within 1 year after that date; otherwise, the date the claim was received. Death - First day of month in which the Veteran's death occurred, if a claim is received within 1 year following the date of death; otherwise, the date the claim was received.